Spanish outlet Mundo Deportivo claim that Neymar’s dad has met with Florentino Perez purportedly to confer about a possible move back to Spain for the Brazilian, as Real Madrid are longing for a replacement for their talisman Cristiano Ronaldo. 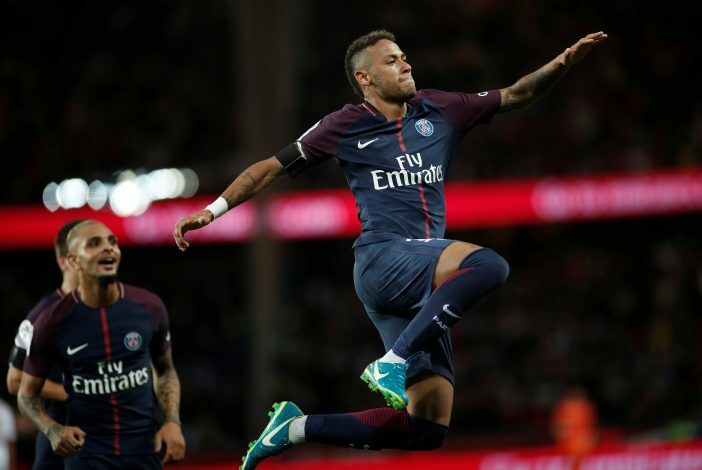 Notwithstanding the record-breaking move over the summer to Paris Saint-Germain, Neymar Sr. has reportedly held talks with Los Blancos over a likely transfer looming in the future. Real were keen on obtaining the 25-year-old’s signature earlier in 2013, when the forward joined their arch-rivals Barcelona from Santos. However, Perez is holding the door open for the Brazil international at the Bernabeu, amidst their search for a better replacement for the four-time Ballon d’Or winner. The PSG fan-favourite arrived at the French capital for £200 million in the summer transfer window, shocking the supporters. Nevertheless, it’s comprehensible because the world-class forward was forever in Lionel Messi’s shadow at the Catalan club. However, the forward seems to be experiencing issues with the Ligue 1 side, as he feels the league is not capable of testing him out fully. Accordingly, a return to Spain is massively anticipated. Furthermore, Real seem to be the best option for the decorated player, as he is eyeing to be the world’s best. With a desire for reaping individual honours, Madrid could manifest as the finest soil for Neymar. Regardless, PSG have revamped their squad so as to accommodate the former Barca man, who has reportedly forged close relationships with fellow Brazilians Dani Alves, Marquinhos, Thiago Silva, and Lucas Moura. Additionally, the forward has been a key figure for the Ligue 1 side in their positive start to the season. Ergo, it’s heavily sceptical whether PSG would opt to sell the player, especially in view of the fact that Unai Emery is ostensibly planning to build a team proficient enough to win them the Champions League trophy.